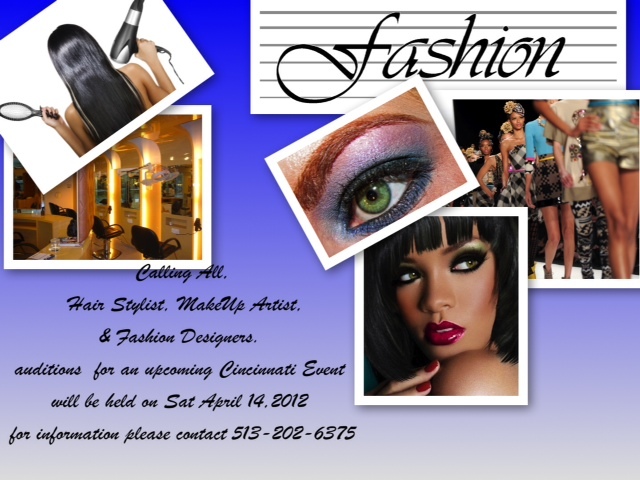 Calling All Hair Stylists, Make-up Artists, and Fashion Designers! Are you a hair stylist, make-up artist, or fashion designer? Here’s a chance to show off your work! All N 1 Studio is looking for someone just like you to for an upcoming Cincinnati Event! Auditions will be held Saturday, April 14! For information, contact 512-202-6375! Submit pictures of your work as well as a biography here so you can be contacted!